You might call it “quality of lifestyle.” Downtown’s transition from a purely commercial real estate-driven skyscraper chessboard into a multi-hued mosaic of urban life is undeniable. Restaurants, retail, public art, green space, and appealing street-level architecture continue to draw residents, business and foot traffic to Downtown’s densify-ing blocks. “This is a trend that’s transforming cities large and small across the entire country,” says Sanford Criner, vice chairman at CBRE. “For some perspective, back in 2000 there were only 1,800 hotel rooms Downtown,” says Criner. 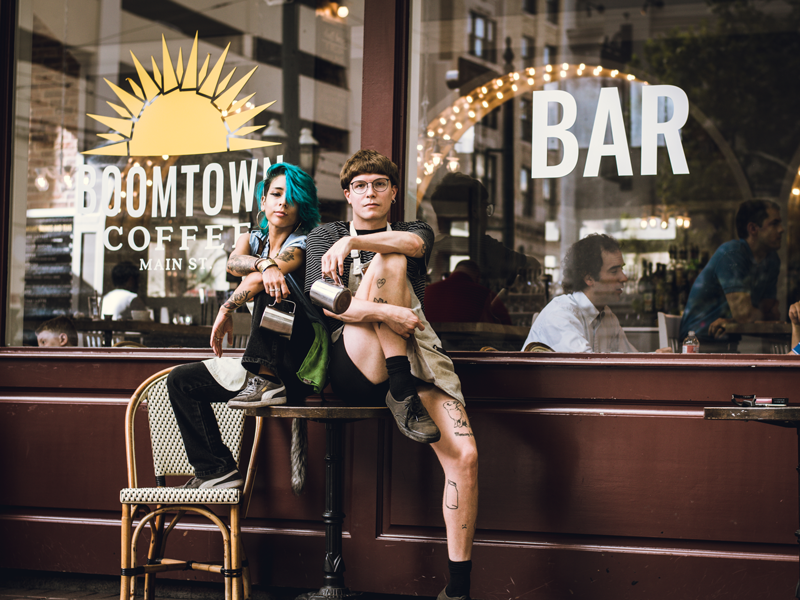 “Today there are more than 8,000.” Downtown has also seen the number of residents grow from approximately 2,500 in 2000 to 8,700 in 2018. While large commercial buildings still occupy the majority of Downtown’s more than 250 blocks, today’s office market demands a rich and appealing environment, not just a shiny corporate fortress. “The office market now requires residential, retail and entertainment, such as civic spaces, to be onsite or in the immediate proximity,” says Criner. “While the one block, one building concept persists, the make-up of the first floor of buildings, both commercial and residential, has evolved to be more transparent and inviting,” says Criner. He cites 609 Main, Skanska’s Capitol Tower, and Hines’ 47-story building planned for the former Houston Chronicle site as prime examples. He explains that trends are changing from the model of one person, one car, going into the garage, going up the elevator to the office, who doesn’t do anything else outside the office except go down to the tunnel for a quick bite. “People are expecting a much richer life, venturing out during the day and staying after work to enjoy the greater variety of experiences Downtown,” says Criner. Criner suggests that if Downtown had the exact same economic environment, but without all the residential, retail, entertainment and restaurant development that has happened in recent years, then those recent class A projects would not have been built and new ones would not be in the works, because there would be no potential tenants willing to lease those spaces. Houston’s First Baptist Church Downtown: With a presence Downtown since 2012, the megachurch unveiled the completed new facility at 1730 Jefferson in May 2018. The church purchased and redeveloped the former Communications Workers of America/Local 6222 Union building into a three-story, multi-purpose campus. 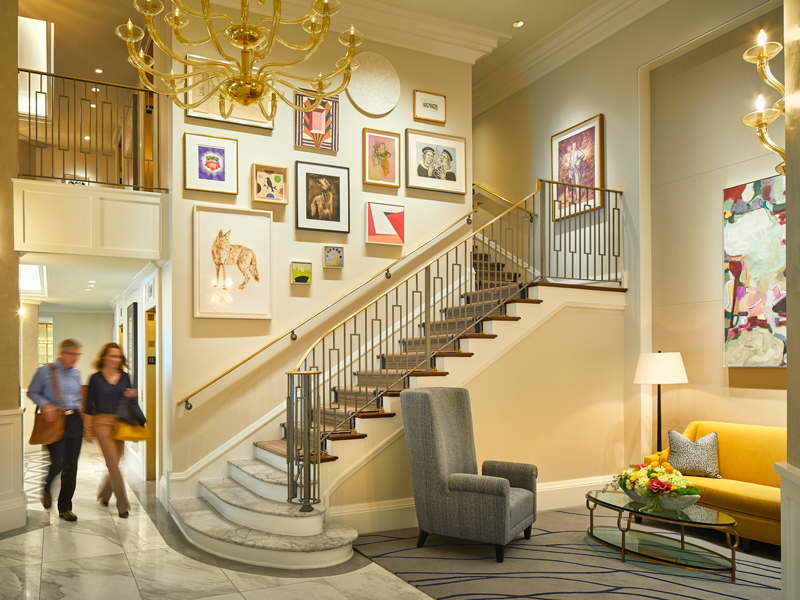 Main & Co.: The Zimmerman family, the group behind the historic Montrose hotel La Colombe d’Or, has completed a $5 million renovation of the historic Raphael and Dorrance buildings at 110 and 114 Main. The pair of buildings, rebranded as Main & Co, have been redesigned and restored to preserve much of the original interior character, while incorporating modern conveniences. The five-story mixed-use project now includes creative office space, a La Colombe d’Or Art Gallery, the new location of dance club Etro Lounge, and cocktail bars The Cottonmouth Club and Lily & Bloom. Lancaster Hotel rises again: After flooding significantly during Hurricane Harvey, the historic hotel underwent a multimillion-dollar renovation and décor overhaul. The iconic hotel, at 701 Texas, reopened in October, complete with a stunning new vertical sign, walk-up espresso bar and plenty of elegant Regency style. The structure, originally built in 1926 as the Auditorium Hotel, has served as a hotel almost continuously for more than 90 years. Also back after Harvey: Theater District icons The Alley Theatre and Wortham Theater Center both sustained substantial damage from the hurricane flooding, but with the aid of many donations and countless hours logged by contractors, both venues have reopened. The Alley reopened in time for its 2017 run of Dickens’ A Christmas Carol, while the Wortham opened its doors in September. Buffalo Bayou Park made great strides to get up and running (yep, pun intended there) by the springtime, including removing 60 million pounds of sediment. Even independent businesses, such as La Fisheria (reopened in April 2018), rebounded from Harvey’s wallop. Downtown dominated the office leasing market for Houston during the past year, with robust leasing activity showing no sign of slowing. Downtown continues to attract and retain prominent national and global firms and outperform other Houston sub-markets. Main Street as status symbol: Across the U.S., companies located along the most expensive streets in the country pay high price tags for their offices. 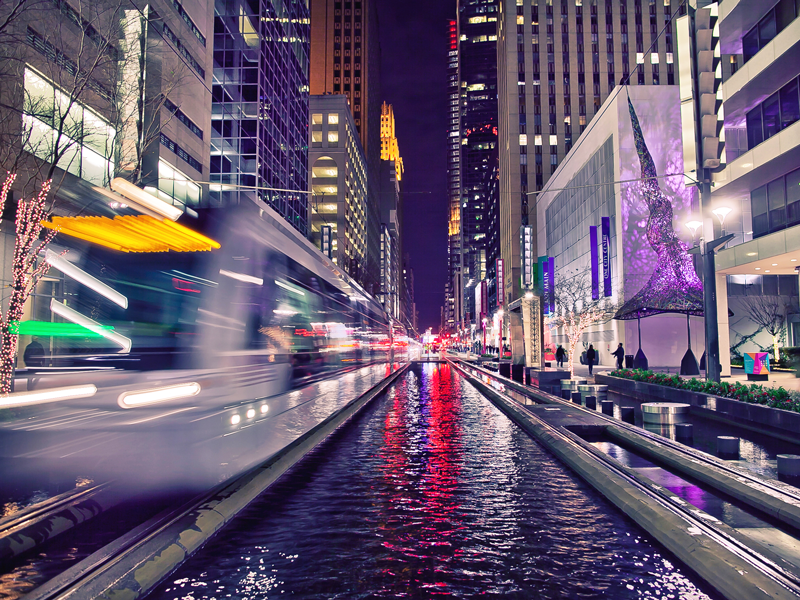 Highlighting Downtown’s regional and national competitiveness, Main Street was named Houston’s most expensive street for office leases, and ranked No. 21 on JLL’s list of the most expensive commercial leases in the U.S., with average rents of $44.24 per square foot. Co-working’s big name now on Main: The global communal workspace giant WeWork opened during summer 2018 within the historic The Jones on Main (at 708 Main). WeWork has been called the fourth most valuable startup in the U.S. just behind Uber, Airbnb and SpaceX. The Main Street location of WeWork boasts 82,236 square feet designed to support more than 1,400 members with private conference rooms, open space for large events and two outdoor terraces, plus private offices for clients with up to 120 employees. Two layers of Canadian bankin’: Royal Bank of Canada (RBC) moved into the 36th and 37th floors of 609 Main over the summer of 2018. RBC now occupies 54,000 square feet in Hines’ innovative office tower, after opting to consolidate offices previously located at Williams Tower and 5 Post Oak. Hometown airline unites Downtown employees: Downtown Houston’s 11th-largest employer, United Airlines, relocated 1,600 employees from 1600 Smith and 600 Jefferson into 225,000 square feet at 609 Main in early 2018. United now occupies eight floors of the 48-story tower, including the signature garden balconies on floors 12 and 13. Re-affirming their position: Law firm, Sidley Austin, LLP signed a long-term lease renewal in July 2018, opting to expand its offices in Wells Fargo Plaza by 60 percent. Gensler has been tapped to redesign the larger space, totaling 80,000 square feet and occupying three and a half floors in the iconic tower at 1000 Louisiana. Lionstone heads to The Jones: Houston-based real estate investment firm Lionstone Investments is relocating its 22,145-square-foot headquarters from 100 Waugh Dr. in the Washington Heights area to The Jones on Main at 712 Main, a property the firm purchased in 2013. Lionstone partnered with Midway Companies in 2016 to market 712 Main and 708 Main (owned by Midway) as The Jones on Main, a coupling of two historic office towers as a multi-dimensional destination featuring a food hall, retail, WeWork’s Downtown location, plus modern office space with historic character. Historic LEED Gold tower sold: LEED Gold office tower, 1001 McKinney, a 23-story, 375,000-square-foot office tower was sold by Cameron Management and Silverpeak Real Estate Partners to TRC Capital Partners LLC and Amstar America LLC in July 2018. Built in 1947 as the City National Bank Building, the structure is listed on the National Register of Historic Places. 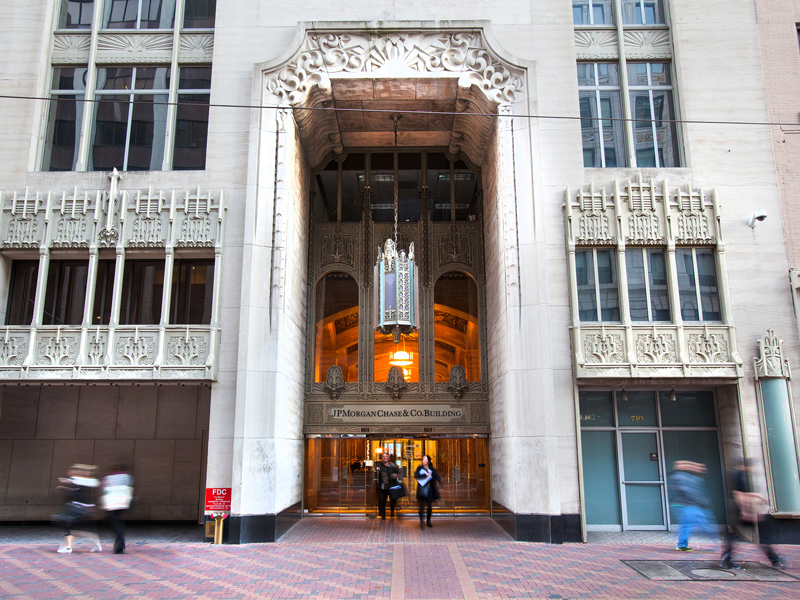 The extensively updated building’s new owners cited the historic character and proximity to transit as key factors in their purchase decision. Deep in the heart: The iconic Bank of America Center, the ornate 56-story, 1.5 million-square-foot office tower at 700 Louisiana is undergoing a $20 million multiphase renovation, spurred by the anchor tenant’s announcement they are relocating in early 2019. The project will reclaim the space that was made void in the 1980s when the construction of the tower absorbed the two-story former Western Union building. The effort will add 25,000 square feet of new office and restaurant space, an additional floor of office space and a revamped lobby. M-M Properties expects to commence these renovations in February or March. Center gets attention: Brookfield Properties announced initial details of its $50+-million renovation plans for Houston Center, the 4.2 million-square-foot office and retail complex it acquired in late 2017. The complex includes three 40+-story office towers, the smaller 4 Houston Center and Shops at Houston Center, all built during the 1970s and ’80s. Plans include a revitalized mixed-use development with street-level retail, outdoor event spaces and restaurants. 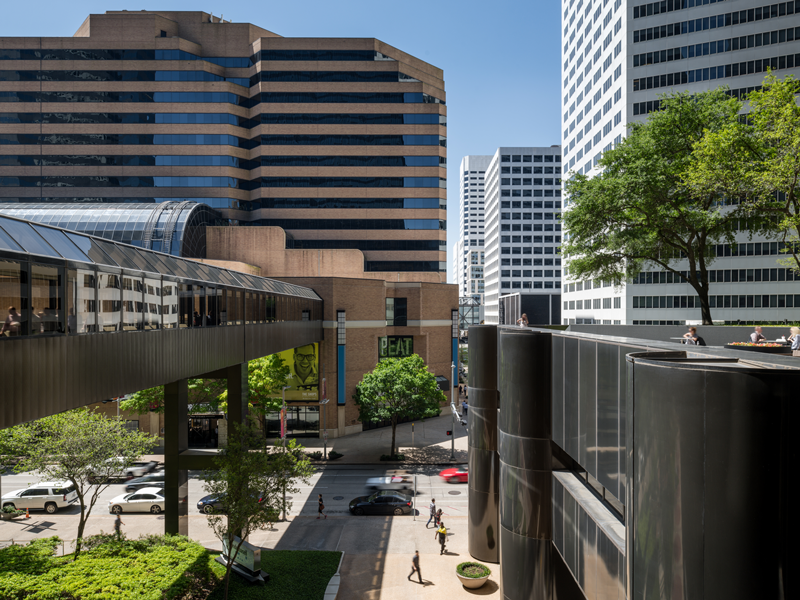 A new take on 5 Houston Center: Spear Street Capital launched a $6 million renovation of 5 Houston Center, the 581,000-sqaure-foot, 27-story office tower located at 1401 McKinney. Built in the early 2000s, the tower’s renovation includes a lobby redesign by PDR, featuring a new coffee shop and cafe, a fine dining space, a fitness center, a tenant lounge and more, all taking advantage of views of nearby Discovery Green. Both Ernst & Young and Jackson Walker have signed expanded leases. Skanska's 35-story, 775,000- square-foot Capitol Tower topped out in April 2018. Pre-certified LEED v4 Platinum, the highest level awarded by the U.S. Green Building Council, the Gensler-designed tower at 800 Capitol is on track for completion in the second quarter of 2019. Bank of America has leased 210,000 square feet in the new high-rise, and will be among the first tenants to use the 35,000-square-foot community hub and culinary market on Capitol Tower’s tunnel level. Hines began construction over the summer on its new 1 million-square-foot, 47-story tower on the former Houston Chronicle site. The tower will feature 36 levels of office space atop a podium of parking and street-level restaurant, retail and lobby space. Tenants will have access to multiple green spaces on site, including a wrap-around garden planned for the 12th floor, plus a series of atriums that will be exclusively accessible to tenants on specific floors. The tower is expected to be completed in 2021, when Hines plans to relocate its global headquarters from Williams Tower into 155,000 square feet of the new tower. Vinson & Elkins has also signed on to occupy 212,000 square feet. The Flatiron Coding School: The accelerated programming school that inspired the coding bootcamp movement opened its fourth global campus in WeWork, with $250,000 in full scholarships from Facebook for the inaugural class. Partnering with Facebook and the Houston Area Urban League, Flatiron has committed to helping 25 aspiring Houston-based programmers obtain free enrollment in a Flatiron coding course. Bunker Labs: This national nonprofit was founded to help business-minded veterans and their spouses with inspiration, education and connections to help them start and grow their businesses. Created by veterans for veterans, Bunker Labs opened its Houston chapter in September. The organization partnered with WeWork to offer a Veterans in Residence program at their co-working space (708 Main). Chevron Technology Ventures: The longtime Houston-based venture capital arm of Chevron Corp. (started in 1999) just created its sixth fund. The new $100 million Future Energy Fund seeks to invest in research and innovation for new, alternative energy technologies (including those from Houston companies). 1711 Caroline: Leon Capital Group completed this five-story, 220-unit residential building in March 2018. Fueled by the Downtown Living Initiative program, Leon Capital Group acquired a vacant block of land in 2013 (just south of Toyota Center) for the development of this six-story podium apartment project – one-story concrete base structure with five stories of wood-framed apartments above. Marlowe: This stylish new 20-story, 100-unit condominium by Randall Davis is located at 1311 Polk (expected to be completed at press time). The tower features units ranging from one-bedroom units starting at 695 square feet to penthouses with more than 2,900 square feet of living space plus two terraces. Camden Downtown: Camden Property Trust broke ground on its $57-million, 21-story, 271-unit apartment tower at 1515 Austin in late 2017. This first phase of Camden Downtown, which includes the apartment tower and its parking garage, is expected to start leasing in the fourth quarter of 2019. Regalia at the Park: Florida-based developer DLC Residential broke ground this past spring on a $54 million, 229-unit new apartment project at 100 Crawford. The property will offer units from studios to two bedrooms, plus a pool, yoga studio, fitness center and parking – all comprising the entire block bounded by Crawford, Commerce, North Jackson and Ruiz Streets. Regalia is estimated to be complete by the second quarter of 2020. The Rustic rocks the Convention District: A new live music venue and indoor/outdoor bar owned by country musician Pat Green and restaurateurs Kyle Noonan and Josh Sepkowitz debuted in early November (music fans may be familiar with their Dallas and San Antonio locations). The 25,000-square-foot venue sits next the George R. Brown at 1836 Polk. Restaurants and bars to try: Day or night, the choices continue to increase across Downtown. The past year welcomed Boomtown Coffee Main St. Café, Cellar 7, The Cottonmouth Club, Etro, High & Dry Rum Bar, Kulture, La Cantina by La Calle, Kanaloa and Sapporo Japanese Sushi & Bar. CVS Pharmacy at Historic Market Square: The drugstore giant opened a 13,000-square-foot “urban footprint”-scaled store on the ground floor of Market Square Tower, 300 Milam Street. Spin Studio gets cranking: Houston’s original premium indoor cycling studio, RYDE, has opened in a street-front contemporary studio on the ground floor of the Esperson Building. Located at Milam and Rusk, the studio boasts top-of-the-line fitness equipment. Finn Hall fills its plate: The 20,000-square-foot Finn Hall debuted this fall inside The Jones on Main (712 Main with a total of 10 food outlets, a craft beer and curated wine bar, an art deco cocktail lounge and private event spaces. The many chef-based concepts include Cori Xiong and Chen Heng’s Mala Sichuan Bistro ( individual-style menu items, presenting authentic Sichuan flavors and culture); Goode Co. Taqueria (tacos from its classic Tex-Mex menu); Low Tide from the owners of Harold’s Restaurant & Tap Room (a seafood and raw bar with ceviche, raw oysters and po’boys); Mr. Nice Pie, a concept from the owners of Moon Tower Inn, Voodoo Queen and Love Buzz (offering pizza slices as large as 30 inches); Oddball Eats (known for its falafel offerings at farmers markets); Sit Lo (a concept from the purveyors of Bowl’D Up food truck); Yong (Daniel Ajtai’s Korean fare) and Aaron Lyons’ Dish Society (a smaller version of its farm-to-table menu). Flying colors: The stunning Sky Dance mural by artist C. Finely causes passersby to pause and behold the brilliant colors and the leaping figures. The massive mural stretches 230 feet wide and 130 feet tall, and at 30,000 square feet it is Houston’s largest mural. Commissioned by WEDGE Group and completed last March, the mural is painted on the backside of the 1415 Louisiana Building and can be viewed from Clay Street between Louisiana and Milam, or any multi-story structure in the vicinity. Bike racks rolled out: The Houston Downtown Management District installed more than new 100 bike racks across Downtown during October. The bike rack initiative increased the number of locations of public bike racks Downtown from 45 to 68. Prior to their installation, the 45 pre-existing racks accommodated around 216 bikes. The additional racks increased the public bike parking capacity to 392. Locations for the bike racks include high activity areas near residential, park spaces and food and beverage options – many locations were selected in response to businesses requesting additional bike racks in their neighborhoods. Farm-to-truck: The innovative mobile farm-to-table grocery concept Grit Grocery, which provides local, natural, and unprocessed food to urban communities, now serves the Historic Market Square neighborhood and EaDo. Find Grit Grocery in the 900 block of Preston from 4 to 9 pm on Tuesdays and Thursdays; and at 2424 Capitol from 4 to 9 pm on Mondays and Wednesdays. Great Southwest redo: Dallas-based NewcrestImage is redeveloping the Great Southwest Building at 723 Main (also known as the Houston Bar Center) into a 10-story, 194-key European style luxury hotel under the AC Marriott brand. The rehab on the historic property, a Jesse Jones project built in 1914, got a boost from the Downtown Redevelopment Authority and is expect to be complete by summer 2019. Spaghetti Warehouse rebirth: A local development group purchased the former Spaghetti Warehouse building at 901 Commerce in the Market Square Historic District. The group plans to complete a renovation of the 15,000-square-foot structure, built in 1901. Their vision includes an open-air street market on the flood-prone first floor and a bar on the second floor. (The spaghetti restaurant has reopened as Warehouse 72 on the Katy Freeway). KHSPVA opening: The much-anticipated Kinder High School for the Performing and Visual Arts is set to open in time for the spring semester to begin in January 2019. The new five-story facility for the HISD magnet school sits on the full block bounded by Caroline, Capital, Austin and Rusk streets, just blocks from the Theater District. Passersby won’t be able to miss Gensler’s eye-catching main entrance, marked by sculpture-inspired oversized windows positioned at offset angles. The 168,000-square-foot school features classroom and program space, an 800-seat main theater with a balcony, a secondary studio theater, a black box theater, dance and music studios, and ample practice and performance space. The facility also includes two levels of underground parking. UHD’s campus growth: University of Houston-Downtown, after acquiring an additional 17 acres of land in 2016, is well underway on construction of its new College of Sciences & Technology Building, which topped out in August. 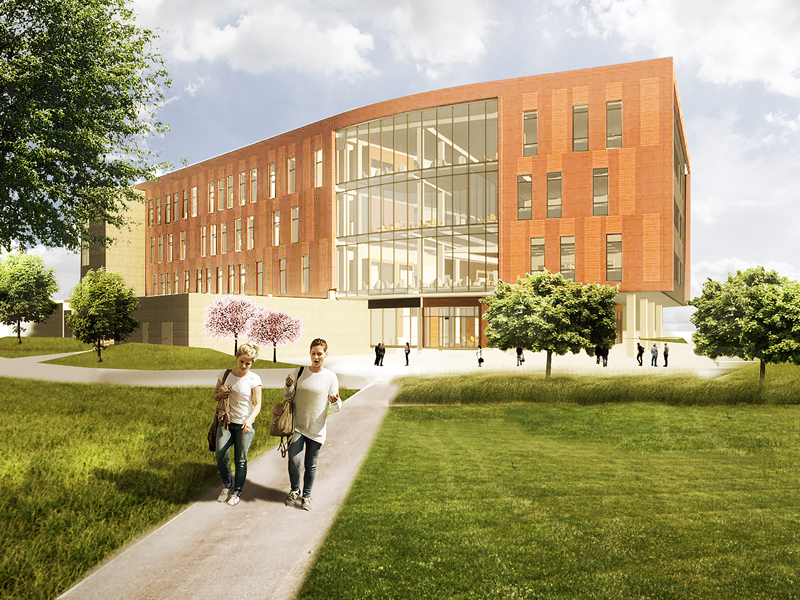 The building is expected to be complete by fall 2019, and the first classes are set to begin in spring 2020. UHD has plans to build begin a new student garage in 2019, while a new sports and wellness center has also been proposed. Opening at Hines’ Aris Market Square high-rise, Bravery Chef Hall has confirmed six notable Houston chefs and restaurateurs. MasterChef season three winner Christine Ha will open her first restaurant The Blind Goat. Ben McPherson, formerly of Krisp Bird & Batter, will debut a pasta restaurant called BOH Pasta. Andes Cafe Chef David Guerrero will reveal Nuna Nikkei Bar, a Japanese-Peruvian restaurant. Felix Flores will open a new spot called Cherry Block Craft Butcher and Kitchen. Richard Night, formerly of Feast and Hunky Dory, will offer an upscale diner called Atlas. (The final chef and restaurants concept was not available at press time.) The chef-driven hall will also include three bars. 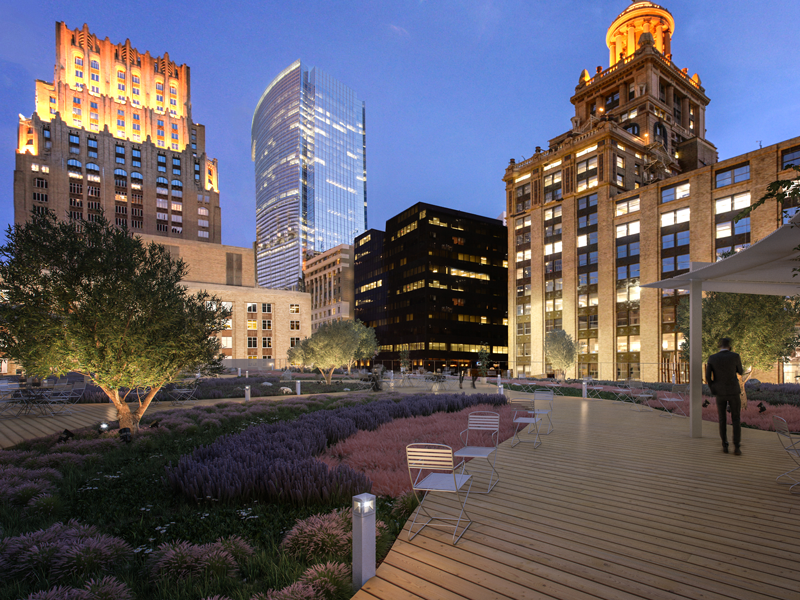 Wrapping around the Lyric Center Building, the forthcoming Lyric Market food hall and marketplace will offer chic design inside and out, with plenty of outdoor seating for enjoying David Adickes’ cellist sculpture, Virtuoso. Developer U.S. Property Management expects to offer more than 20 chef-driven concepts in the 31,000-square-foot space. The venue is also expected to host frequent farmers markets, community events, and provide space for private events and meetings. Lyric Market is expected to open in the second quarter of 2019. Setting itself apart from the other Downtown food hall concepts will be Understory, a 35,000 square-foot space located in the two-story lobby of the new Capitol Tower, with tunnel connection. Designed by Michael Hsu, the lively space will be home to a full-service restaurant, seven food stalls and a cocktail bar.